AbbVie has announced that its interleukin-23 (IL-23) inhibitor Skyrizi (risankizumab) has been awarded approval in Japan from the nation’s Ministry of Health, Labour and Welfare (MHLW), marking its first-ever approval in any region worldwide, in the treatment of plaque psoriasis, generalised pustular psoriasis, erythrodermic psoriasis and psoriatic arthritis in adult patients who have an inadequate response to conventional therapies. Marketing authorisation was given based on Phase 2 and 3 data evaluating the drug’s efficacy in Japanese patients in the approved indications. FDA review is currently ongoing with a regulatory decision expected in the first half of the year, while the therapy also received a positive opinion from the EMA’s Committee for Medicinal Products for Human Use (CHMP) for the treatment of moderate to severe plaque psoriasis in adult patients who are candidates for systemic therapy back in February 2019. The non-communicable, inflammatory condition manifests as scaly patches of skin alongside itchiness, burning and stinging sensations. It is estimated that around 15% of psoriasis patients in Japan will go on to develop psoriatic arthritis – a lower rate than the rest of the world, where the risk stands at around 30%. "Advances in our understanding of psoriatic disease have brought us to an era where clear skin is a realistic treatment goal," Dr Mamitaro Ohtsuki, Chairman and Professor, Department of Dermatology, Jichi Medical University. "Skyrizi has the potential to help psoriasis patients achieve high rates of skin clearance bringing them closer to reaching long-term treatment goals with every 12-week dosing." 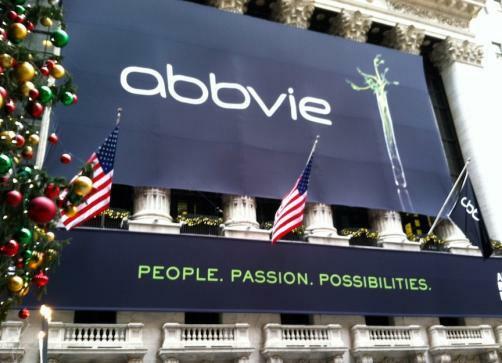 Dr Michael Severino, Vice Chairman and President at AbbVie, also remarked: "With this first global approval of Skyrizi, we are excited to bring a new treatment option to people living with psoriatic disease in Japan. Skyrizi has the potential to improve the signs and symptoms of these chronic, immune-mediated diseases. We look forward to continuing to work with regulatory authorities to make this treatment available to more patients worldwide."